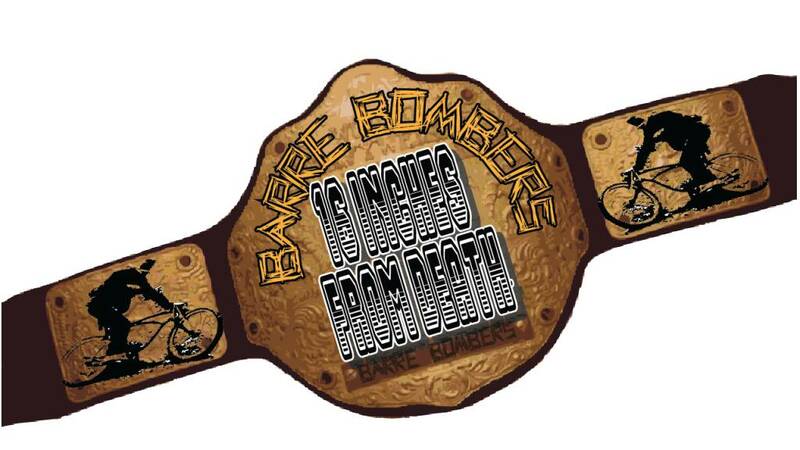 The Barre Bombers is Vermont Bicycle Shop's very own adventure and hijinx team. We've always got something in the planning stages. Take a look at some of the past adventures by our crew. 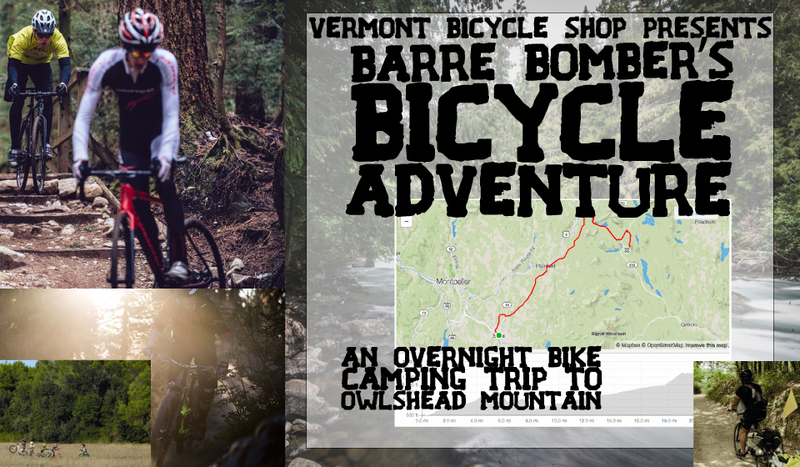 The Vermont Bicycle Shop Osmore Pond Overnight Adventure was a great success! We rode 21 miles from Barre, VT to Groton State Forest and camped overnight. We returned the same route the next day. There will be a pre-ride meeting August 26th at 6pm. If there are still spots available this will be the last chance to sign up. At the pre-ride meeting we will go over the supplies list, have a few tutorials about the challenges we might experience on the ride including a flat repair clinic. We'll update the calendar with more info. For the ride we will be meeting at Vermont Bicycle Shop We’ll meet at Vermont Bicycle Shop Sunday, September 4th at 1:30 pm. With the hopes of departing around 2 and no later than 3pm. We will ride some pavement and gravel from Barre over to Plainfield. In Plainfield we will ride a mix of tame single-track and railroad bed up through Marshfield and then up to the New Discovery Campgrounds where we’ve reserved a remote camping site. We’ve also come up with a list of things to help you prepare. Some things on this list are not necessary, some things are required. Familiarize yourself with the advice on the above website, this list, and bring things that are required and things you are comfortable carrying with you on a bike. We will also have some limited room in the support vehicle to carry supplies as well.